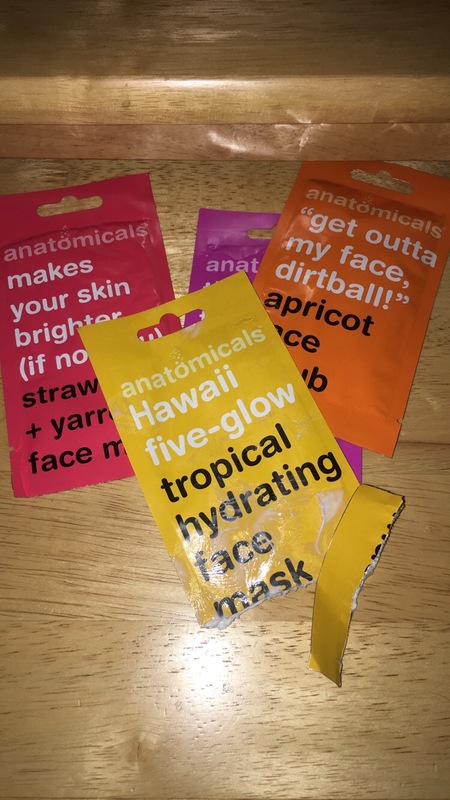 Since the weather today is so horrible I thought it would be appropriate to post my review on the Anatomicals Face Masks because what else would you be doing on a rainy day like this. 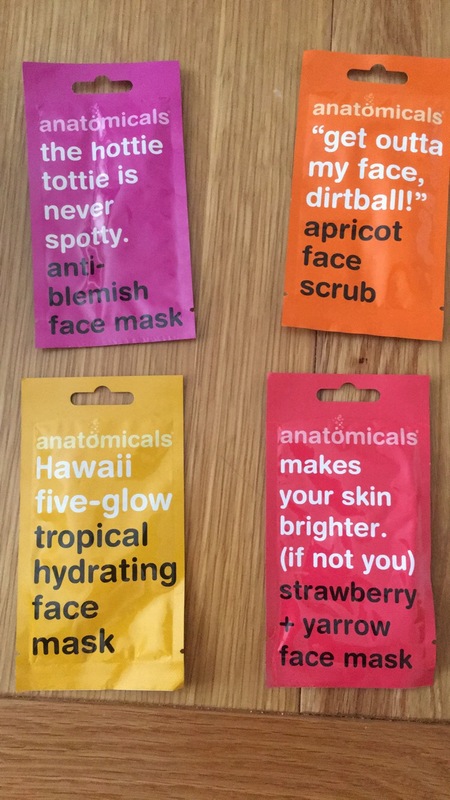 Recently I received 4 anatomicals face masks sachets to try out and I honestly absolutely love them. They feel like yoghurt on my face!! I had never tried them brand before but I’m so in love with their products and they’re so affordable too. These sachets are so easy to use and simple to take with you anywhere you go. My go to mask was the Hawaii Five Glow hydrating face mask which comes in a really cool bright yellow pack. Mentioning packaging I absolutely love the anatomicals packaging its really cool, bright and out there. To use the mask all you have to do is tare open the packet across the dotted line and apply the product evenly onto a clean face. Leave it on for 15 minutes while you sit back and relax. 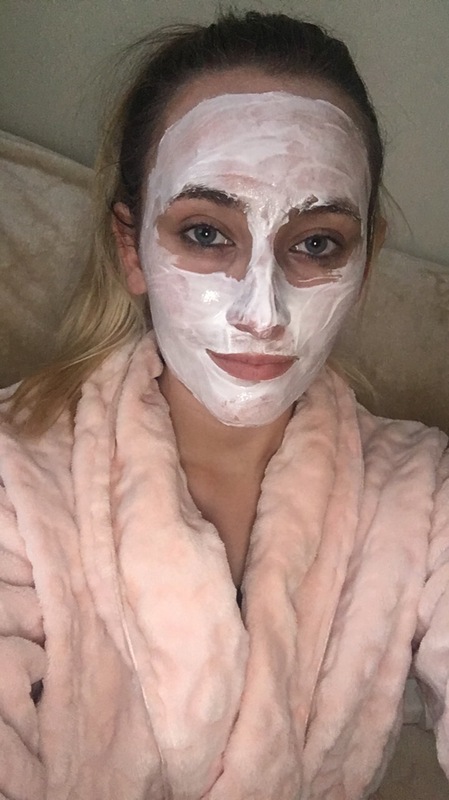 After 15 minutes, once it has dried and becomes like a tight layer on your skin you can then wash it off using a face cloth soaked with warm water. I can really only describe this mask as basically yoghurt on my face as it feels really gooey and looks very white in colour. The consistency of the mask is really creamy and buttery and just pretty much glides onto your face with ease. I like to apply a thick layer of the mask and leave it on for about 25 minutes before I rinse it out. It smells very fresh and just like tropical fruits. I really found this mask was super hydrating on my skin and left it feeling really soft, smooth and fresh. I didn’t have any breakouts or reaction to this mask which makes it even better for me. Along with the great smell from this mask it really does make you feel like your relaxing on a tropical island. I would really recommend these face masks and are perfect for a gift for someone especially with Christmas just around the corner these are for sure a gift everyone would love. 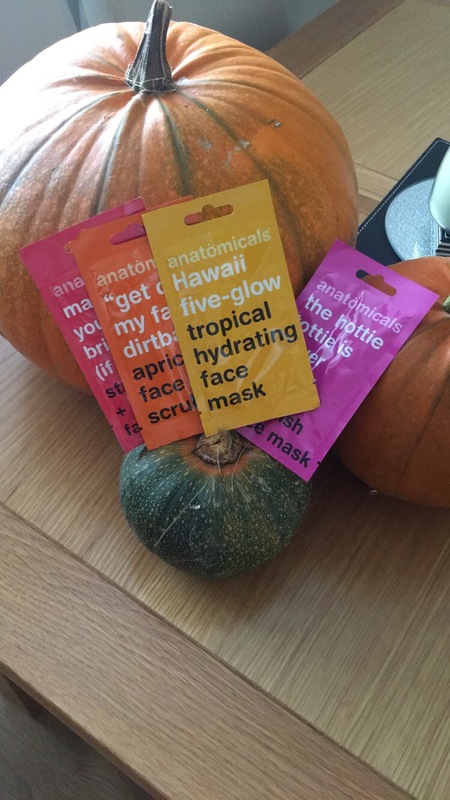 Anatomicals have a huge range of products to choose from so if a face mask isn’t your style your sure to find something else from their range to suit you. If your looking to purchase anything from the Anatomicals range id definitely recommend checking out Cloud10 Beauty. Anatomicals is the company that ‘Only Wants You For Your Body’ and they will leave your body looking and smelling good enough to eat. They manufacture some of the funkiest and fun paraben free toiletries on the planet that are super hard working and amazingly affordable. So exactly like oxygen, water, gravity and chocolate fudge cake, you’ll soon wonder how on earth you ever managed to survive without them. So I am such a huge fan of miceller water to remove my makeup and have been ever since I discovered it. I don’t use any makeup wipes on my skin as it really dries out my skin and leaves it feeling very irritated so I tend to AVOID but with miceller water it removes my makeup with ease. 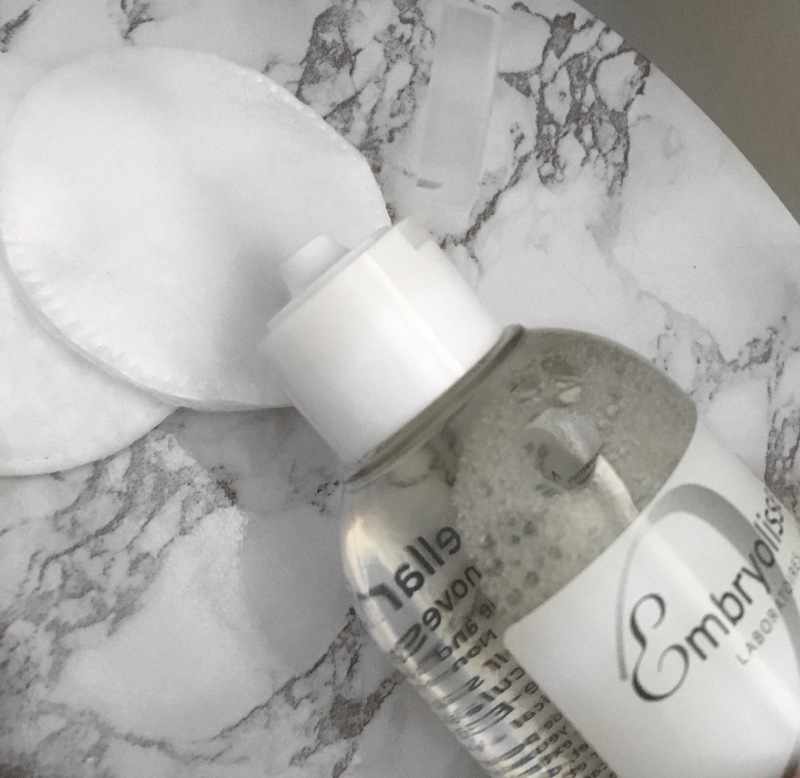 I always tend to reach for the garnier miceller water but recently I discovered a new brand (well to me it’s new as I’d previously never heard of them) called Enbryolisse. I received a bottle of their “lotion micellaire” and decided to give it a go in removing my makeup and wow I’m so impressed. As mentioned I only use miceller water to remove my makeup so I was excited to give this one a go. Best thing is it’s suitable for all types of skin. If you’ve read my previous blog posts you will know that my skin is quite sensitive so I always hesitate in trying out new brands. This miceller water honestly left my skin feeling so fresh and with no residue it makes it even better. Practical and speedy for gentle total cleansing and make-up removal using this products it is suitable for the face, eyes and lips so removes all of your makeup with ease. 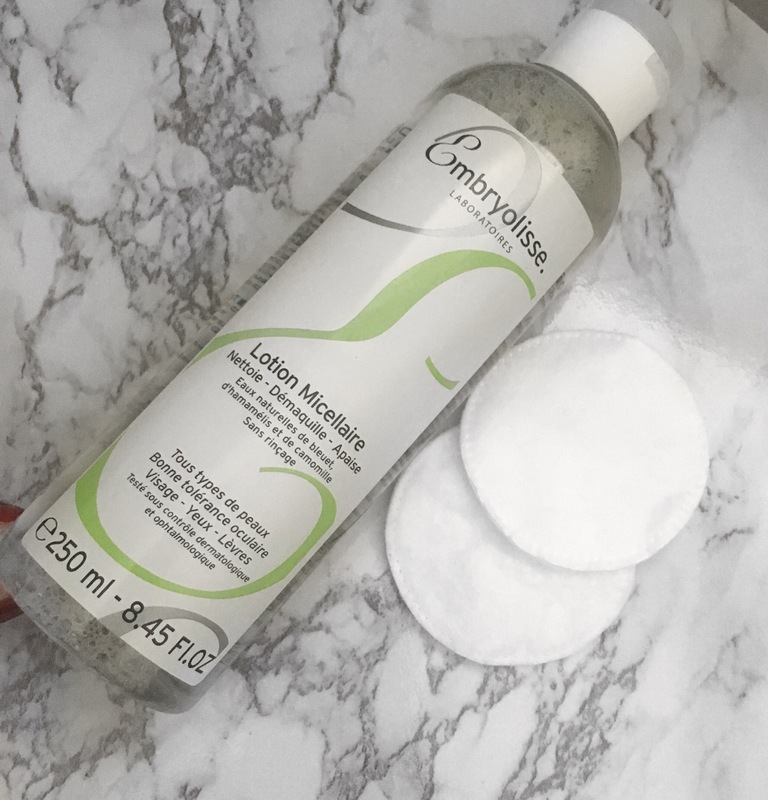 This Micellar Lotion is so so gentle on skin it is suitable for even the most sensitive of skin. I honestly find this product so good it removes every trace of make-up, even water-resistant products. To use the miceller water I like to apply some product to a Cotten pad then rub it all over my face. My skin does be left soothed, soft and toned, and my complexion looks radiant and clear which I absolutely love. You can buy this product from boots which is where I get mine it retails at £15.99 working out around €17 but it’s definitely worth it for a 250ml bottle and lasts ages.